Flip 100 coins. If 50 tails this attack does nothing. 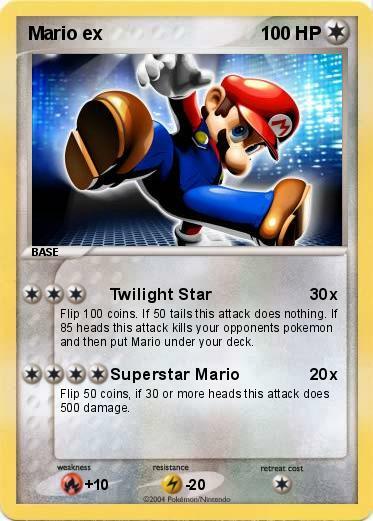 If 85 heads this attack kills your opponents pokemon and then put Mario under your deck. Flip 50 coins, if 30 or more heads this attack does 500 damage.